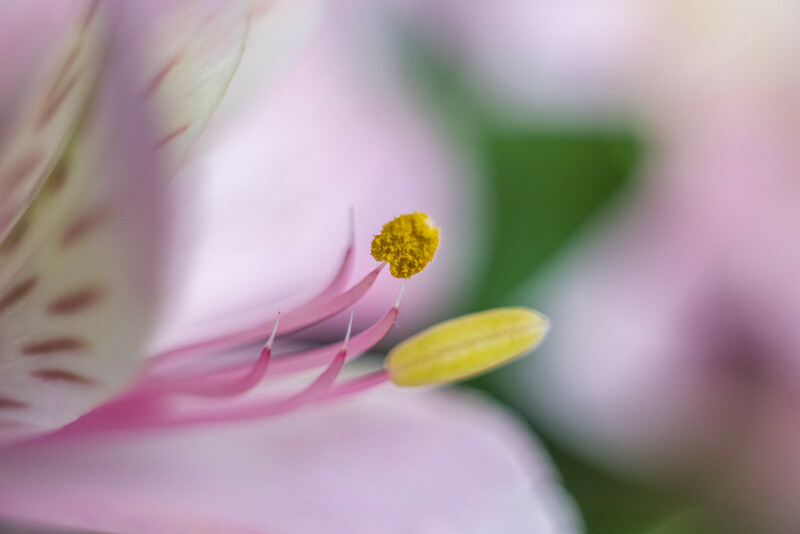 Reputedly made by Komine, this is the superb Vivitar 55mm f2.8 Macro lens with 1 to 1 Macro and an incredible close focus distance of 5cm. 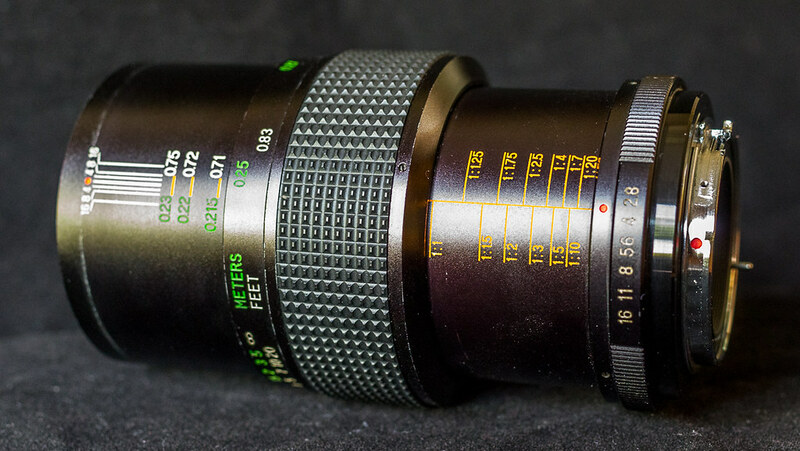 This copy is in Very Good condition, great optics - the multi-coating appears to be in Good condition, the focus movement is smooth with no sloppiness or grittiness with a very long focus throw allowing great precision. Mechanically there are no issues, cosmetically there is some silvering in places and the lettering is slightly yellowed. There is some dust (as with almost every 25+ year old lens) but I can't see any just looking through. 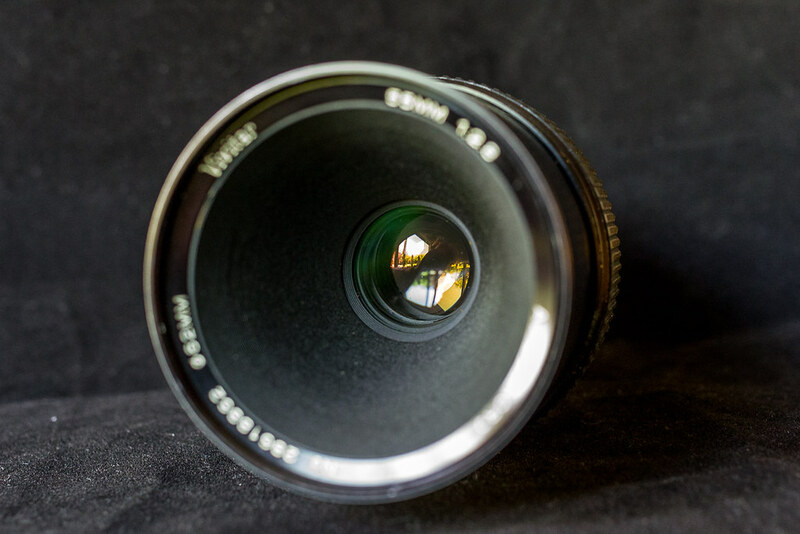 The filter thread is 62mm (although it is not common to use a filter on this lens - the deep recess means there is little chance of damage) and this is the later version of the lens (there was an earlier version with f3.0 as the maximum aperture. 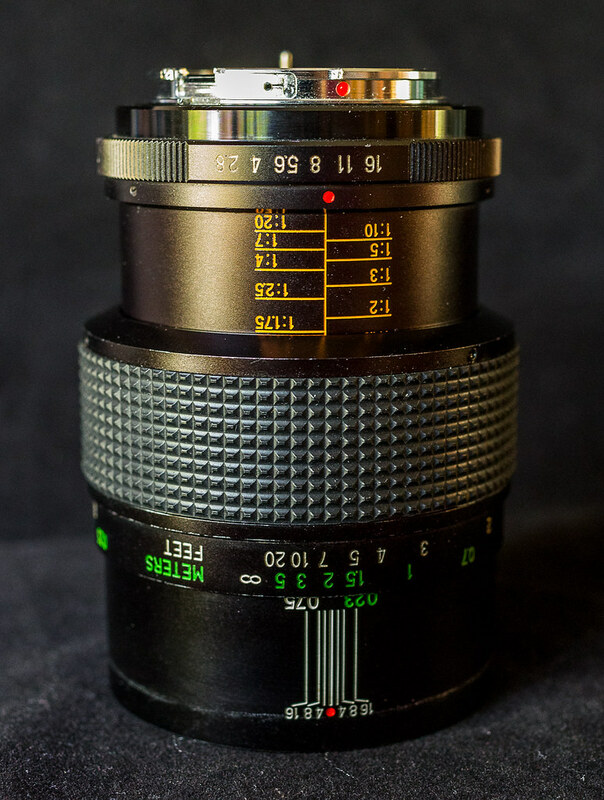 This copy is Pentax M42 fitting with a K-Mount adaptor fitted, so you won't get metering in every mode. It will work on all Pentax film and Digital cameras - on DSLR's you will need to use stop down and "green button" metering to get an accurate exposure - I find doing this in Live View the easiest way (as the screen image adjusts automatically as you stop down and doesn't darken the image as it would through the viewfinder). The original Vivitar metal lens cap and a generic K cap are included. There is no hood - I don't believe one was every manufactured/supplied as the depth of the recess from the filter ring to the front lens element is several centimetres (3 to 4) which provides excellent shading.